Algorithmic trading is one of the most efficient and innovative trading strategies that both short-term traders and long-term investors can utilize to increase their profits while mitigating risk. Basically, algo trading is a form of trading that is based on a set of predefined rules or instructions, accounting for past data in volume, price, and other indicators with respect to time. 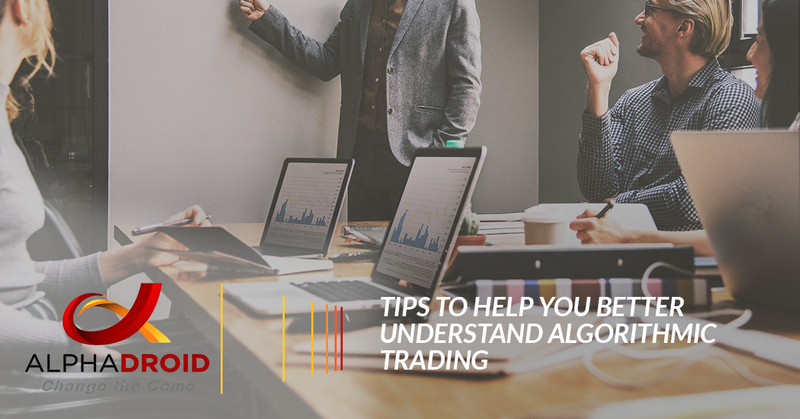 While those traders who are used to traditional trading strategies may already be familiar with algorithmic trading and how it works, for those who are new it can be a little more challenging and overwhelming to understand. However, the truth is, algorithmic trading is not too difficult to comprehend as long as the right approach is taken. Additionally, algo trading has lowered risks especially when integrated to automated and high-frequency trading. In today’s article, we are going to share a handful of helpful tips to better understanding algorithmic trading. The most algorithmic trading software is not too difficult to use. However, if you desire a deeper understanding and want to master the fundamentals of algo trading, there are plenty of books and other resources that cover market options, futures, and derivatives. Additionally, you can check out online videos, webinars, articles, and free online courses for more in-depth learning. Automated trading consists of three core disciplines, each playing an important role in making automated trading a stable and effective trading strategy. The first is quantitative analysis, which involves the use of statistical data and mathematical models to study the behavior of the market. The second is the trading, which consists of skills such as familiarization of different market assets, trends, arbitrage trading risk management, and other techniques. The third discipline is the implementation of the strategies into a working application. While automated trading can help reduce the risks of profit losses due to poor execution, emotional trading, or slow manual trading, it is not by any means a program that is completely free of risk and error. There are challenges and risks that can cause interruptions or errors, and in these cases, it is best to create your own strategies to deal with these obstacles. As mentioned, traders can achieve the maximum benefits of algo trading when they use a fully automated program that can execute multiple trades during a short duration of time. Plus, algorithmic trading helps eliminate costly typographical errors that can make or break a trade. It also can help traders take advantage of markets that are extremely volatile by executing high-frequency trade orders back-to-back. Creating algorithms, interpreting statistical models, and turning them into codes for a trading software can use up a lot of time and effort. Instead, try using an algorithmic trading program, such as Alpha Droid. Alpha Droid helps investors better illustrate the risks and returns of investing. Using sector momentum measurements, our elite algorithmic trading software can help identify which portions of the market are likely to outperform near-term, maximizing profit returns and minimizing risk.